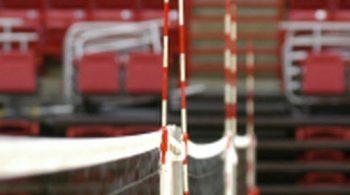 The subject of how aggressive or conservative one should be when serving is a common topic among volleyball coaches. Here’s a question/scenario I came across along these lines. Has there been any research on what amount of serving errors are acceptable as the opponents ability to side-out increases? For example, if the opponent can normally side out at 60% but I can bring them down to 50% IF I allow my team to miss 15% of their serves due to more aggressive serving, should I do it? I think this is getting into math that is beyond my abilities. Thoughts? There’s a clarification needed here. Is the 60% figure inclusive or exclusive of missed serves? If the 60% includes missed serves then the math is very easy. On average, you expect your team to score 0.4 points each time they serve. That’s the opponent’s side out rate subtracted from 1 (e.g. 1 – 0.6 = 0.4). If, by serving more aggressively, you reduce that side out rate to 50% you are better off. Your points/serve rate increases to 0.5. Things get more complicated if the side out percentage does not include missed serves. It’s still doable, though. 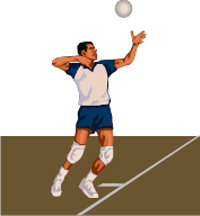 First, we calculate our fraction of in serves – those not errors. That’s simply 1 – Error%. For example, if we miss 10% of our serves, that 1 – 0.1 = 0.9. Second we calculate the opposing team’s fraction of side outs based on in serves. That’s our in serve fraction times the side out percentage. If the side out rate is 60% we would come up with 0.9 * 0.6 = 0.54. Finally, we want to calculate our point probability like we did above. We do that by adding our error fraction to the side out fraction from the last step, which gives us 0.64. Then, subtract that from 1 and we have a points/serve of 0.36. Now, if you want to see what happens if you become more aggressive you simply adjust the figures. The example quoted was 15% and a 50% side out %. If we use those values we get 0.425 points/serve. In this case, it’s a good trade-off. Let’s consider the reverse scenario. You want to go to zero errors, but the resulting easier serves push the side out rate up to 70%. In this case the points/serve goes to 0.3. This is worse than where we started, so not a good trade-off. Of course the tricky bit in all this is knowing what your opponent side out percentage will be if you change things up. And do you actually have a way – aside from counting errors – to determine if your serving is more or less aggressive? Ideally, you are able properly stats things so you can draw some real conclusions, not just make guesses. Have a look at this post. It’s speaks to some actual research on the topic with real stats. Its the sort of analysis you should think about doing for your level. You’ll probably find that your optimal error rate varies, as shown in the cited research.